Originally listed for 2,349,000? and recently reduced to 1,895,000?. Unique property in the exclusive area of El Rosario, a few minutes drive from the best beaches of Marbella and the amenities. This luxury family villa is sold fully furnished and offers beautiful views through the sea, a large plot and boasts three apartments, each with its own private entrance, perfect for guests and rentals. 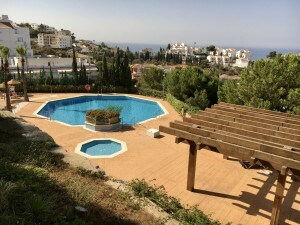 If you want to purchase a fabulous home to enjoy great holidays in a quiet environment on the Costa del Sol, with a high rental potential,and that can also be converted into a bed and breakfast, don´t miss this villa!